Castor Oil for Hair | Can It Stop Hair Loss? 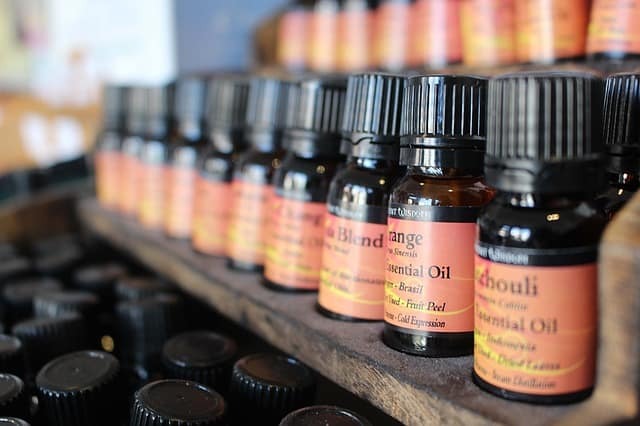 There are a lot of “miracle” products these days made from natural items. So many that it’s hard to keep up with the trend. Remember Goji berries? Does castor oil for hair loss really work? Or is it another fly by night home remedy that will be forgotten in a few years? With so many men, and women for that matter, who are desperate for a way to stop losing their hair or to regrow what is already gone, it definitely bears a hard look at the research to see if it actually does work. I’ll give you a bit of a spoiler. It does actually help, but as with most things, there is no silver bullet that will miraculously grow your hair back. If you do choose to use it, take some pictures so you can compare some castor oil for hair growth before and after photos. That way you can see if there was some improvement. What does castor oil for hair do then? Read on to find out what the actual benefits are and some castor oil hair treatments that we recommend. 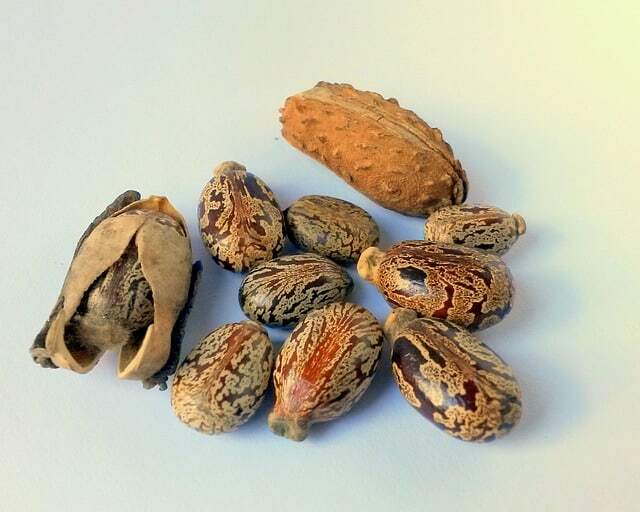 Castor oil is made by pressing the seeds of the castor plant. Since ancient times it has been used as a laxative and as a way to induce labor in pregnant women. More recently it has been used as a preservative for foods since it has some anti mold properties. In fact, it is this feature that has led to it being used for hair and skin products. Before I get into any of the claims about castor oil for hair growth, let me address the features that we know for sure that the oil has that can aid your skin and hair. Castor oil for hair can add a healthy sheen that leaves the hair smooth. It’s a great moisturizer for skin and can prevent dandruff naturally. These are known benefits that really are not up for debate. But, then this is where other claims start to come into play which may or may not hold water. 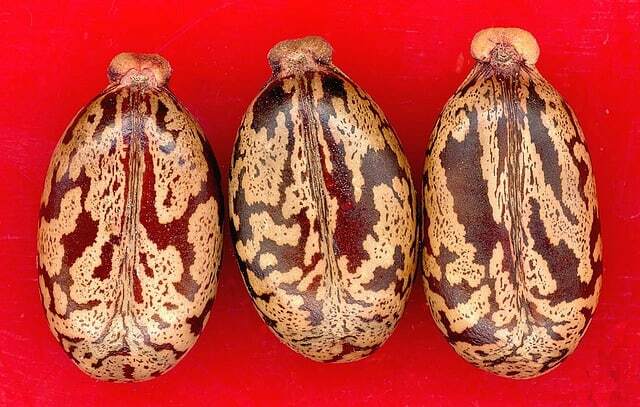 Castor oil is rich in a fatty acid called Ricinoleic acid. This acid is known to be an anti inflammatory. Since an inflamed scalp, due to infection or from conditions such as alopecia, can inhibit your hair growth, it is supposed that castor oil can help to regrow hair. It’s thought that by reducing inflammation the hair is able to grow back. Right now, there is no scientific evidence that castor oil can regrow hair in people with male pattern baldness caused by genetics. Any claims to that are really false. Does that mean that castor oil for hair loss doesn’t work? No, there is some evidence that it can help certain people and create conditions that can help people at least stop their hair loss. I know that sounds contradictory, so let me explain. How Can Castor Oil Work to Stop Hair Loss? There are people who do lose their hair for reasons other than genetics. The term alopecia is kind of a blanket term for any kind of hair loss, ranging from genetic male pattern baldness, to Alopecia Areata, which is an autoimmune disorder that can be treated. One thing that castor oil can help with which may actually stop hair loss and in some cases allow hair to regrow is by reducing the inflammation causes by disorders like Alopecia Areata. When the scalp is inflamed, it constricts the flow of blood to the hair follicle, which causes it to stop growing. By allowing blood to get to the root of the hair, that follicle can start growing again, or at a minimum not fall out. In effect, it can halt hair loss when the cause is not from genes. There are also people whose hair falls out from infections. The antimicrobial effects of castor oil can kill bacteria and even fungus that cause hair to fall out. In fact, when people have severe dandruff, the castor oil can clear that up and very often hair starts growing normally again after. Castor oil for hair loss mostly helps women since one of the reasons they can lose their hair is from over processing with cosmetics. In other words, using too many dyes, chemicals and hair treatments that damage the scalp. Using castor oil can reduce those effects and allow the hair to regrow. Who Can Benefit from Castor Oil Hair Treatments? There are certain issues that can be treated with castor oil that may show some benefits. Ringworm of the scalp – If you have itchy, scaly bald patches on your scalp, then it is a sign you may have ringworm. You may need a medicated shampoo, but trying castor oil first is a good idea as its antifungal properties can kill ringworm. Don’t worry, there aren’t any actual worms in your skin, it’s just called that way. Folliculitis – This is an inflammation of the skin around the hair follicles. It starts out like a pimple and then spreads. Usually it is due to a bacterial infection, but can also be caused by too much sebum in the pores of the scalp that collect around the hair follicle. Seborrheic Dermatitis – Probably the most common scalp condition that leads to hair loss is this severe form of dandruff. Everybody produces sebum on the scalp, but Seborrheic Dermatitis sufferers produce a particularly rich form of it that irritates the skin and causes scaling. By eliminating this excess rich sebum, the hair can grow again. Overprocessing – This is when you use too many hair dyes, chemicals and heat processing like hair straightening or curling. When your scalp is damaged, the effects can cause your hair to stop growing or to fall out. Reversing the effects with castor oil is a good home remedy. If you have male pattern baldness, then it’s time to accept it and find ways to look good bald, because using castor oil won’t help you. Treating your hair with castor oil for hair loss can be as simple as just massaging some pure, organic castor oil into your scalp and through your hair. While this is effective, it is also a bit of a chore. Castor oil is very heavy and is tough to wash out of your hair. When you use straight castor oil as a treatment be prepared to wash your hair several times for it to not feel greasy. Another unwanted feature is that it smells kind of off. It isn’t a bad smell or offensive, but it isn’t very pleasant either. For these reasons, I recommend either mixing it with other essential oils or making your own shampoo with some castor oil as an ingredient. If you have any of the scalp issues I mentioned in the last section, then here are some recipes using castor oil for hair treatment. To combat any irritation or inflammation of the scalp, this mix of castor oils with other essential oils should be ideal. This mix is ideal for those that have Seborrheic Dermatitis as it will clean out the pores, disinfect the scalp and nourish the scalp and hair. It will also leave your hair with a healthy sheen and look full. Simply put a few drops on your scalp, especially in the problem area, and rub it into the skin and hair. Leave it in for at least an hour and then wash it off. You may need to lather twice to get the greasiness out of your hair. Make sure the second rinse is with cold water to lock moisture into your scalp and hair. Another good way to get the benefits of is to make your own shampoo with castor oil as an ingredient. This will clean your hair and not feel greasy from the heavy castor oil. Mix the ingredients very well to prevent them from separating and ensure the honey is totally dissolved. To use it, put about a quarter sized dose on your palm and rub it into the scalp and then throughout the hair. Lather it up and leave it for 2 minutes before rinsing. Repeat this one more time and rinse again. If you have dandruff this is a great way to keep the flakes away. What is the Verdict on Castor Oil Hair Remedies? I am always very suspicious of hyperbolic claims about natural remedies for hair loss. There is a multibillion dollar industry dedicated to finding a cure for baldness, so it stands to reason that if it were as simple as rubbing castor oil on your head, then the big companies like Rogaine would be all over it. Does that mean it doesn’t work? To mean there are two take aways from this. Firstly, castor oil works to stop hair loss in certain cases like I outlined earlier. 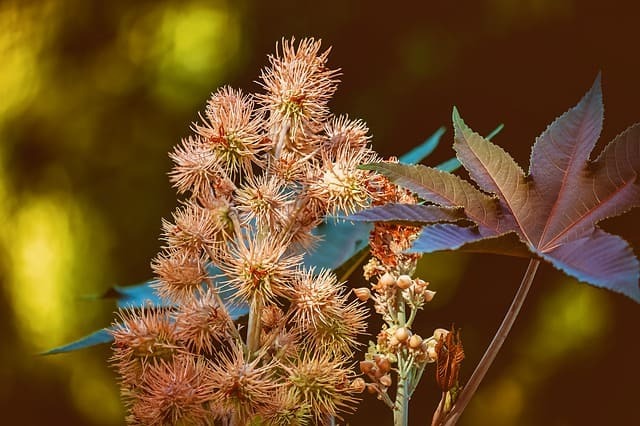 If you have any of those skin conditions and are seeing your hair falling out or not growing back in, then castor oil will certainly help there. But, it doesn’t mean that if you have male pattern baldness that castor oil hair treatments will work. Secondly, you should always temper your expectations. When castor oil does work, it won’t be a dramatic difference. Again take some castor oil for hair growth before and after pictures and you will see a difference. But, if you’re expecting a glorious head of hair to replace the thinning spots, then you are setting yourself up for disappointment. Do you have any experience with castor oil for hair growth? Let us know by commenting below as we always love to hear people’s actual experience!